I am a Counsellor based in the West End of Glasgow on Byres Road G11. 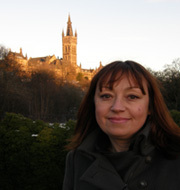 I have been practising as a counsellor since 2004, and have had my own private practice counselling Glasgow since 2008. Counselling is a talking therapy which allows you to work through any difficulties you may be having in your life. I provide a safe and supportive environment in which to explore your feelings and issues. Counselling helps you understand yourself and your difficulties. It helps you to develop new ways of coping. It allows you to move forward and to live the life you deserve. As an Integrative Therapist I use a variety of therapeutic approaches. These include Person Centred Therapy, Psychodynamic Therapy, Transactional Analysis, Mindfulness, Cognitive Behavioural Therapy (CBT) and Brief Solution Focused Therapy. Express and understand your thoughts and feelings | Make sense of the past | Improve your mental, emotional and physical health | Gain clarity, purpose and direction in your life | Improve personal relationships | Accept the different parts of yourself | Develop resilience, wisdom, kindness, strength and compassion (towards yourself and others) | Increase self-esteem, confidence and creativity | Reach your potential as an individual. Contact me if you would like any more information on Counselling or if you would like to book an appointment.